DALI Epicon 8 review | What Hi-Fi? We’re used to having some pretty big speakers pass through our listening rooms, but even then these Dali Epicon 8 speakers, standing a not inconsiderable 126cm tall, leave quite some impression. The Epicon 8 speakers weigh in at a considerable 50kg each, and are easily a two-person lift – two strong people at that. But the Dalis’ bulk is well disguised by an elegantly shaped and proportioned cabinet and some neat aesthetic touches. It all looks modern, clean-cut and classy, just as intended. These floorstanders sit at the top of the company’s Epicon range. We’ve already reviewed the standmounters of the range and enjoyed them enough to want to use a complete Epicon set-up as part of our demonstration system at this year’s Bristol Show. The Epicon 8s were used as the front left and right speakers in that system, and we heard enough over the three days of the show to tempt us into giving these big towers their own dedicated review. We’re glad we did. These Dali speakers are three-and-a-half-way designs, but in a rather unusual way. Usually, any ‘half’ is to do with a dedicated bass driver giving a helping hand to a conventional mid/bass unit – that’s not the case here. The Epicon 8 speakers have twin 20cm bass drivers, a dedicated midrange unit that works between 550Hz and 3.1kHz and two tweeters. Twin tweeters are something of a Dali speciality and comprise a fairly conventional dome working together with a ribbon unit – the extra ‘half’. The ribbon tweeter simply takes over where the conventional dome starts to tail off, which in this case is around 15kHz. The idea is to maintain treble dispersion at the highest frequency and, obviously, take advantage of the quality of the ribbon unit. While the larger drivers all look like fairly standard Dali fare with their distinctive wood-fibre cones, there’s been plenty of development work done throughout. The cone is new, with changes in the processing of the material and its coating. The Dali Epicon 8 are big speakers with loads of bass output, so a large listening room is a must if low frequencies aren’t to overpower everything else. Given a room of around 25 square metres (or more) these speakers will shine. Just keep them away from the rear and side walls to stop the bass dominating. Dali designs its speakers to sound best firing straight ahead rather than being angled-in to the listener, and in our room that arrangement works best. Set-up with care, these speakers deliver a stereo image of good scale and precision. The image doesn’t quite escape the speaker cabinet in the way of smaller alternatives, but that’s usually the way with big units. These floorstanding speakers are sensitive at 89dB/W/m, so lots of power isn’t needed to get high volume levels – but the nominal impedance of 5 ohms suggests it wouldn’t do any harm to use something with a bit of poke. We used our reference Bryston BP26/4BSSt2 300W-per-channel pre/power amplifier combination to good effect. As with any insightful speaker, the quality of the amplifier is more important than the amount of power it delivers. These Dalis are really likeable speakers. The further up the price scale you go, the more speakers tend to sound like analysis tools. That’s great news if you want to hear each and every musical strand in a complex recording. However, in our experience this analysis normally comes at the expense of musical enjoyment. It’s as if rendering the details becomes more important than linking them together in a convincing manner. Thankfully, the Dali Epicon 8s don’t fall into that trap. It means they sound enthusiastic when asked to hammer out Orff’s Carmina Burana. There’s plenty of attack, plenty of dynamic punch and the ability to play loud enough to make conversation impossible in your listening room, even when shouting. Yet, there’s still plenty of refinement and composure, even when the speakers are pushed hard. Dali quotes a maximum sound pressure level of 112 dB. That’s loud enough. We believe them. With a speaker this big it’s hard to avoid equally big bass. The Epicon 8 speakers have lots of it but don’t lack for quality here, either. Alongside the quantity you get plenty of punch and an agility that’s rarely heard when a speaker digs this deep. These Epicons are certainly good enough to reveal the multitude of bass layers from Hans Zimmer’s Time, and deliver the ultra-low bass pulses with real venom. If you value scale and absolute authority in your speakers, look no further; the Epicon 8s are right up there with the very best in these respects. Move up the frequency range and the good news continues. The midrange is smooth and refined, even at higher volumes. It gives Nick Cave’s vocals on Jubilee Street convincing body and texture. There is a good (though not class-leading) amount of detail on show and an decent articulation. Once again, it’s the weight, solidity and natural warmth in this region that impresses us. Twin tweeters might suggest lots of treble, but that’s not how it quite works out here. These Dalis certainly aren’t shy at higher frequencies, but it’s all in proportion: listen to Dave Brubeck’s Take Five and cymbals shimmer just as they should, avoiding any charges of thinness or edge. The wide stereo sweet-spot suggests that the twin tweeter arrangement is doing as advertised as far as wide dispersion is concerned, too. 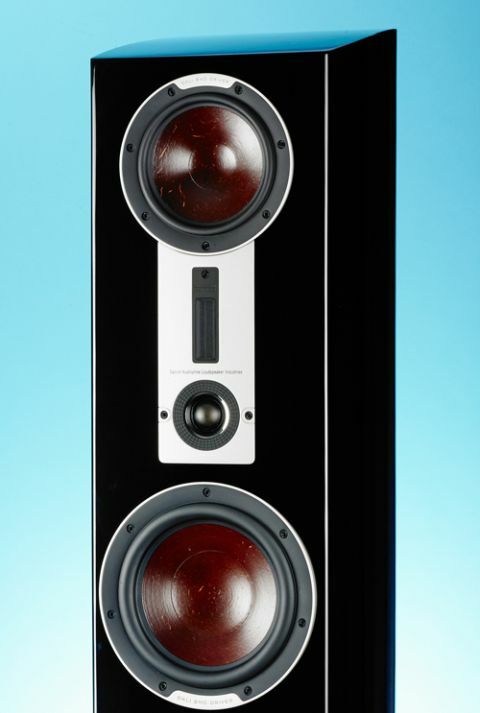 The Dali Epicon 8 speakers have character, and it’s an appealing one. They’re engaging and exciting, and deliver dramatic sound of huge scale. If you want to hear every nuance of a recording these aren’t the speakers for you; there isn’t enough transparency to make them an analysis tool. But that doesn’t stop them from being a really entertaining listen. If you just want to have fun listening to your music, and like it loud, the Dali Epicon 8 speakers are a great option.